"Your service has been invaluable as I am fairly new to gardening and it has almost everything I need all in one place, plus I can access it anywhere." "The most fun I have every year is getting started with next years' garden plan. I have told at least 8 of my fellow gardeners about your website and always share my yearly plan with friends and family. My grandkids get a great kick out of helping me and love the 'map' to find and discover what is growing. When we have parties and bbq's the first stop for everyone is my garden, along with a copy of the plan for a self-guided tour! - - I no longer label anything once it is in the ground, but just use the printed copy to guide me to carrot types, cuc types, etc. I usually make adjustments along the way through the planting season and simply make the changes on the master plan and print a new one to keep it current and for posterity. " "Yes, thank you so much for this tool, I love it! I stumbled upon it several years ago when I first started gardening and knew nothing. It helps me plan, shows me the varieties that can grow where we are and I appreciate all the backup videos/tutorials and research info. " 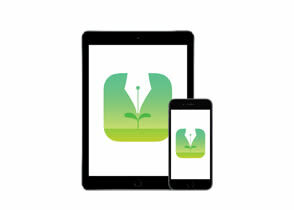 "I really appreciate the quick email responses I have received when I have emailed them questions regarding the use of the Garden Planner and the iPad app! " "I have found the garden planner and the videos, blog, and Pinterest site to be very interesting and helpful. Also, my compliments to your support desk - the response to my questions has been quick and detailed. My main suggestion for the planner would be to include a tracking element that allows you to keep a record of the progress of a seed from purchase to harvest. " "Love your product, just started using the Garden Planner this year and it helped us take a bare piece of land on our property through the planning phase and into a full on garden! It was easy to use the layout and I love seeing our plan come to life"
"I LOVE the Garden Planner! While I still do research on my own, the amount of time this program saves me is incalculable! It used to take hours and hours to plan my garden, but now even detailed planning is so much easier and affordable. Thank you! " "I really like your software and have recommended it to pretty much everyone I know that gardens over the last few years. So easy to used and really helped me and get my plants selected, laid out and in the ground in a timely fashion. I'm not usually very organized.. the assist is instrumental. Myself and others talk a lot about plant spacing and companion planting and your resources for that are so helpful." "I really like the the Garden Planner and hope you succeed. Without it I would be very challenged to properly rotate crops. " "Thank you for the Garden Planner and the YouTube videos. Both have been invaluable to me in being a successful gardener. People my age (40 and younger) don't usually have someone who has passed down gardening information to them, so I learn by watching your videos. How do I harvest potatoes? When is garlic ready to harvest? How do I prune my columnar apples? These are all questions that you have answered!" "this software has been an incredible help and the free trial was really free! That in itself is amazing"
"I learn more each year I use Garden Planner. I am a Master Gardener." "I just want to say that since the beginning, this garden planner is the best that i've tried to use. I was one of the orginal people to sign up the first year you developed the planner. Over the years it's just gotten better. Thanks for all your time and effort to keep this planner on the cutting edge for design and ease of use. " "Love this program. I am having fun learning it, not having problems at all. Whoever designed it needs a huge pat on the back - really well done. Again, love this site, will be recomending it to my gardening friends for sure. Fabulous designing and so simple to use. Thank you. " "I just wanted to drop a note and let you know that I appreciate you captioning your videos very much. As a person who is deaf, I rely on captions every day, and it is encouraging to see that there are companies out there that voluntarily do it. Keep up the good work." "I would like to thank the team for the brilliant support tool and reminder emails. With so little time, i apprecite when i see an email telling me what i can plan out or sow in at what time. Also being able to plan with the tool is really appreciated." "WOW! This is amazing! To be honest, I didn't think a real person would really read my feedback, let alone reply in the same day! I'm very impressed! You rock!" "Wow! Thank you for getting back to me so quickly and with so much helpful information, this is, by far, the very best customer service I have received in a very long time!" 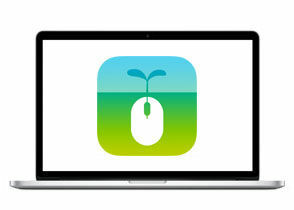 "I like your app and I'm using it for this year's growing season. I find it helpful in determining how many plants I need to buy and correct spacing so they are not growing on top of each other." "WOW! It's absolutely AMAZING what one can learn when one reads directions. I just explored my initial plot, and watched a vid and learned a PLETHORA of things in 3 minutes. This program really rocks!"